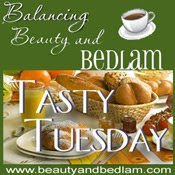 Welcome to Tasty Tuesday hosted by Jen at Balancing Bedlam and Beauty. This is my opportunity to share a recipe and brag on my son at the same time. Remember me telling you that he has been taking summer classes? He just finished Public Speaking. Great class with a great teacher! One project that they had to complete was an Informative Speech. Spencer spoke about "How to Smoke a Salmon". Now let me just say that this boy has never cooked anything! He learned how to do this because he wanted the salmon and it fit with his class requirements. Begin by building a fire in your smoker. It has to burn for awhile to build up the necessary heat and begin producing smoke. You want the temperature to be about 180-210 degrees. Gather the necessary ingredients. Salmon, sea salt, black pepper, garlic powder, vegetable oil, and brown sugar. Rub the fish with oil. Combine all dry ingredients and coat both sides of the fish. Allow it to sit awhile to absorb the good flavors. Place the fish on the smoker and cook for about 45 minutes. Remove and let the fish cool a little. Prepare a caesar salad and some delicious french bread or rolls. I'm proud to say that this was a father/son project. I was out of town! Now he wanted to share some of the salmon with the class...because you have to have props when speaking. He made this salmon dip which is tweaked some from others found online. It came out delicious and his class loved it!! Mix together cream cheese, salmon, capers, caper juice, lemon juice, chives, and dill weed until blended well. Cover and let chill at least one hour. We let it chill over night. Serve with crackers and celery. Thanks for visiting today. 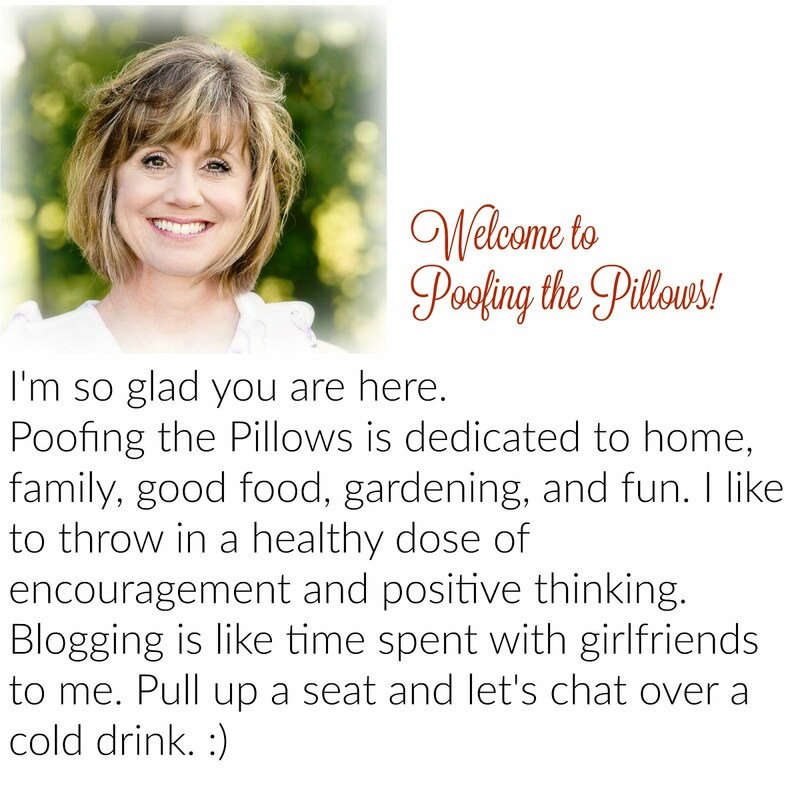 Be sure to visit Jen and see what others have served lately. Wow, what an accomplishment. I know he did a great presentation in class, he sure had a good one at home. What fun! I am so impressed!! He is going to go places with a public speaking class and the fact that he can create a dinner like this one. Salmon is my very favorite entree! This dip is definitely one I will be trying for my family. Congratulations to your two men! Yay for him! Sounds like a tastey recipe! We love salmon and it's so good for you! This is awesome and it looks wonderful!! PLUS a dip! It doesn't get much better than that! And they documented the whole thing which is also awesome! I think I will suggest to Seth that he prepares a meal for us!! That is so impressive. When I go out of town my hubby and son head for Taco Bell. It's probably a good thing though because I like my kitchen and they might burn it down....LOL!! This sounds so tasty. Good job!! Oh that looks so good ! I will have to try the salmon. Glad you got that computer fixed ! LOL . I think you might just have another Emeril Lagasse on your hands! That recipe sounds wonderful...I LOVE salmon! I must give it a try...and SOON! WOW what a GREAT job he did!!! What a neat story. He picked a great topic to give his speech on and I'll bet the rest of the class enjoyed the dip. It sounds wonderful and I plan to try it. Thanks for sharing the recipe. Stacey what a great story this week... Loved the lesson and the recipe for the dip... I will be using both very soon.... Thanks & Congrats to your son. Hi Stacey, how wonderful is this?! I just had salmon last week. The recipe sounds wonderful. Thanks for all the tips! The salmon looks good, and ummm, your son does too. What a cutie*! How wonderful that your son has shown a little interest in cooking. There is not one male person in my home that can cook! I think he deserves an A on this project!! I like the recipe too~will give it a try! Yum-o! I love smoked salmon, thanks for passing along the recipe! Hi, Stacey! Oh, what a great post! I'm sure your son is doing great with his speaking and apparently doing great with his newly learned cooking skills! Great job! The salmon looks so good. This is Mr. Precious' favorite food! What a wonderful story and that recipe sounds yummy!! p.s. your magazines went out Monday. We love Salmon. Thanks for the recipe. I wish your son good success. That looks delish! I'm going to try it. Thanks for the info on the rug. What a fabulous recipe. I love Salmon and boy do you have an adorable son. Love your post. You are such a good mom!!! Oh I LOVE dill and salmon! Good job to your son. Way to go! You must be proud of that darling boy!! I'm going to try the salmon dip, we love the one they make at Whole Foods, but it's a little pricey. Still having computer issues over here, boo... but I'm glad to see you're back in business! It's hot, isn't it? 105 here yesterday. Stay cool!